Todays card was done with Mission Gold color paints. And….. Guess what??? I recorded myself painting her. It’s not the best video but it’s not bad for my first, so please check it out. Also, make sure to subscribe to my YouTube channel because there will be more videos to come. Remember that this is my first video so they will get better the more I do and the more I learn all this video techie stuff. Anyways, on to the card. Now, that all the painting and stamping is done it’s time for the die cutting. 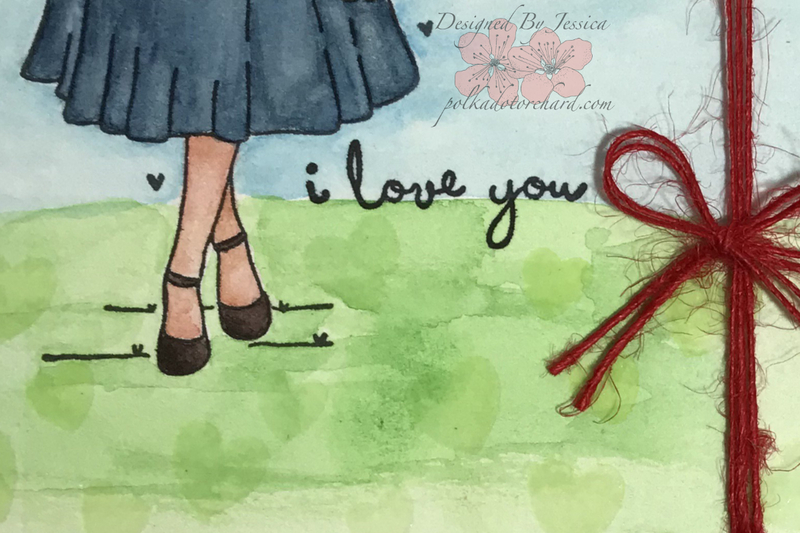 Using a scalloped stitched border die from Lawn Fawn and my Sizzix BIGkick, I cut the left and right of my painted image, only to have an “Oh Crap!” moment. After corner chomping the side of my patterned paper and my base card I realized I did not like the way it looked with both side my my painted image scalloped. That’s when I had the brilliant idea to cut the one side of the scallops off and flip it so it would be facing the other scalloped edge. 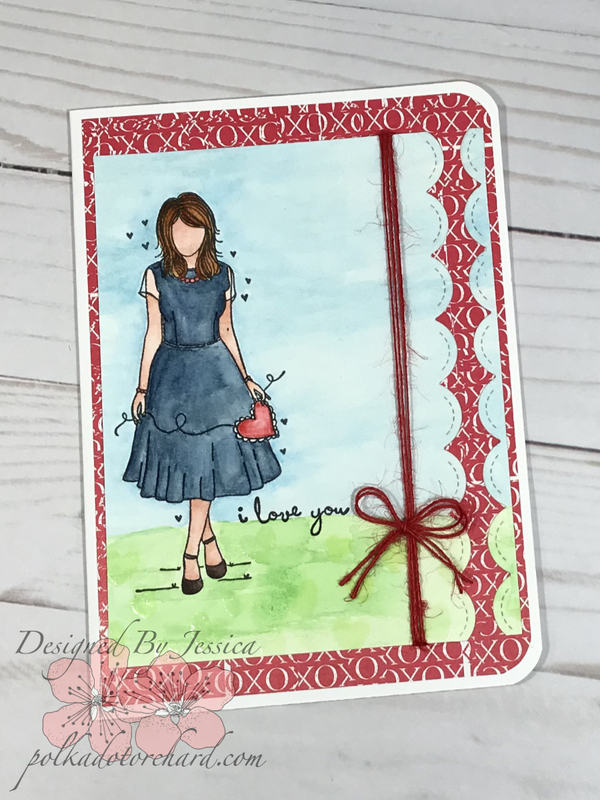 I absolutely loved the look it created with the DCWV XOXO paper showing through both scalloped edges. Before attaching every thing down with my ATG gun, I wrapped some red twine around my image tying it in with a double bow. The inside was done by double matting both sides with red and white cardstock making sure to corner chomp the edges to match the card base. The sentiment “Thank you FOR ALWAYS LOVING ME” is from the Unity 11/17 KOM Better Age and was heat embossed using Ranger black embossing powder. Thank you for stopping in and Happy Crafting! What a beautiful card and your painting is absolutely gorgeous. Fantastic card and great 1st video! It certainly doesn’t sound like you… but I know your videos will get better the more you do them…. your coloring looks awesome! She turned out so pretty!